While a business charter jet may seem like a luxury, to those who have experienced it, it can quickly become a necessity. Wide bodied business jets can seat not only top executives but also managers, technical and sales staff and service personnel. This makes them mobile offices: highly comfortable, productive mobile work spaces, in fact. 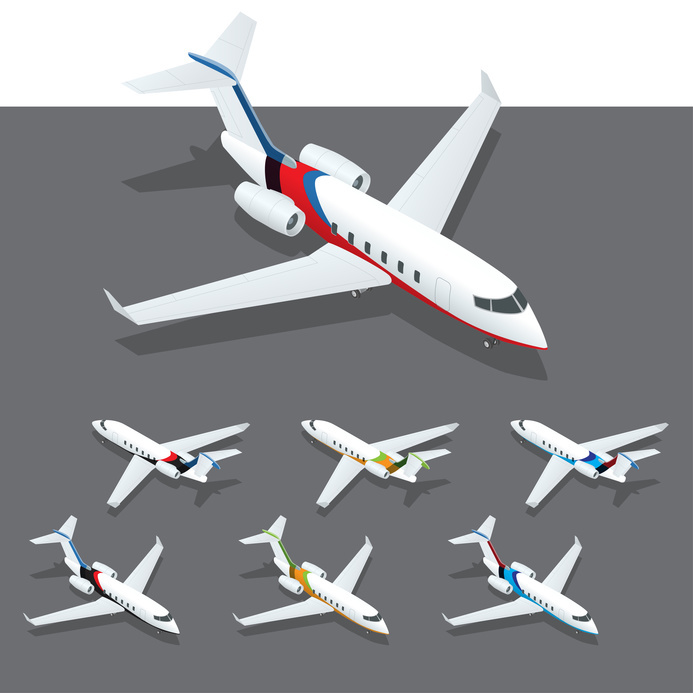 For many companies, private jet membership is more than a perk of success. It’s the way to get there. Private jets evoke an aura of luxury and comfort. They’re also highly productive work spaces, especially when compared to commercial flights. A survey conducted in 2009 found that travelers on business charter jets are 20% more productive when they are on board company aircraft than when they are in the office. By contrast, business travelers on commercial flights report that their productivity drops by 40%. It’s not just the comfort on board that accounts for the rise in productivity on business charter jet flights. Private jet membership has a number of other benefits that contribute to the overall productivity of business travelers. In the end, luxury comes down to simple things like being able to avoid the traffic on the route to major airports, to land at secondary airports closer to your destination, and to avoid the long lines at airport security. Private aircraft use a network of 5,500 airports across the country. That’s a hundred times more than the number of airports served by commercial flights, which stands at 550. This means that private flights can bring you much closer to your destination. Secondary airports typically have little to no congestion in the form of traffic en route and long lines at the check in and security. Being able to just breeze through airport formalities eliminates one of the major sources of stress and hassle involved in air travel. Chartered flights give you the freedom to make your own schedule. The difference with commercial flight is staggering. Imagine no more layovers and missed connections, a direct route to your destination by way of the shortest flight path, and timings that suit you rather than some anonymous airport routing system. Further, private aircraft fly at greater heights than commercial aircraft which cruise at 35,000 feet. At higher altitudes, private jets encounter less air traffic, cutting down on flying time. In fact, private jet charter flights take all the hassle out of flying and restore comfort and luxury of the early days of air travel. For all of these reasons, private jet membership is growing in the U.S. In fact, the U.S. accounts for nearly half or 49.7% of the private jet market worldwide, with Europe coming in second at 20.8%. As of 2011, the total number of registered private jets in the U.S. was 11,261. Currently, the private business jet industry accounts for $150 billion in economic activity each year. It employs about 1.2 million Americans in various capacities. With all the benefits of comfort and productivity, private jet membership will continue to grow in the foreseeable future. Private jet membership restores all the comfort and luxury of air travel and eliminates all the hassle and delays. This is why private jet travel will continue to grow and continue to be one of the hallmarks of business success. This entry was posted	on Thursday, July 20th, 2017 at 1:13 pm	and is filed under Gulfstream air charter, Private jets for charter, Rent a private jet. You can follow any responses to this entry through the RSS 2.0 feed. You can leave a response, or trackback from your own site.